It is with great sadness that Their Royal Highnesses Grand Duke Jean, the Grand Duke and the Grand Duchess announce the death, today, of Her Royal Highness Princess Alix, Princess de Ligne, Princess of Luxembourg. 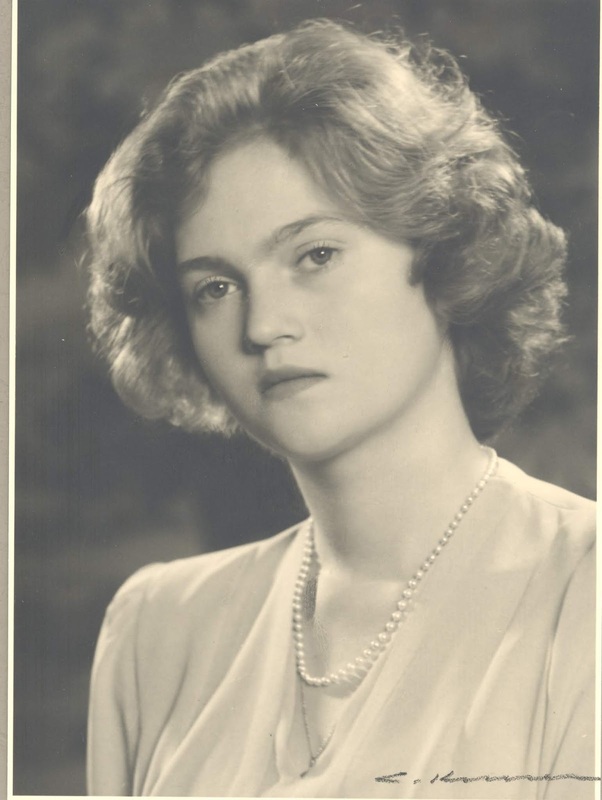 Born August 24, 1929 at the Castle of Berg, Princess Alix was the youngest daughter of Grand Duchess Charlotte and Prince Felix of Luxembourg. 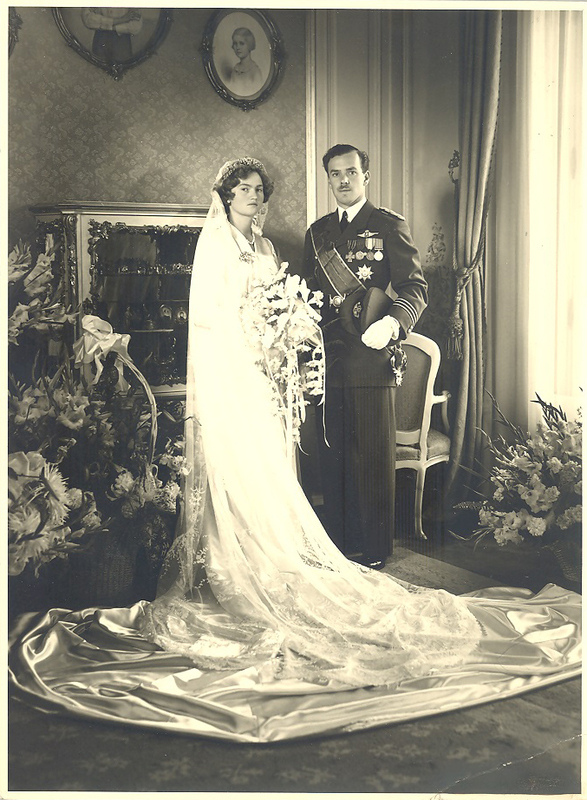 The Princess had married Prince Antoine de Ligne on August 17, 1950. Seven children are from their union. 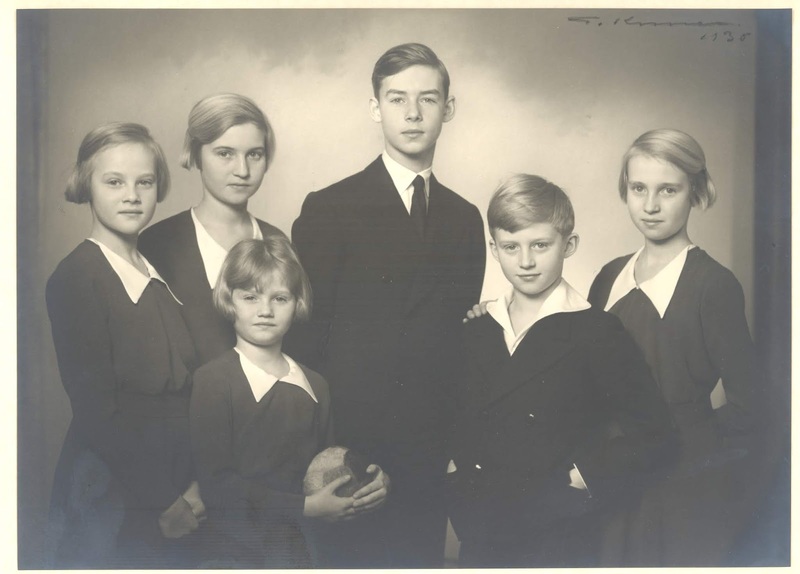 The funeral of Grand Duke Jean's sister will take place at Château de Beloeil in Belgium. 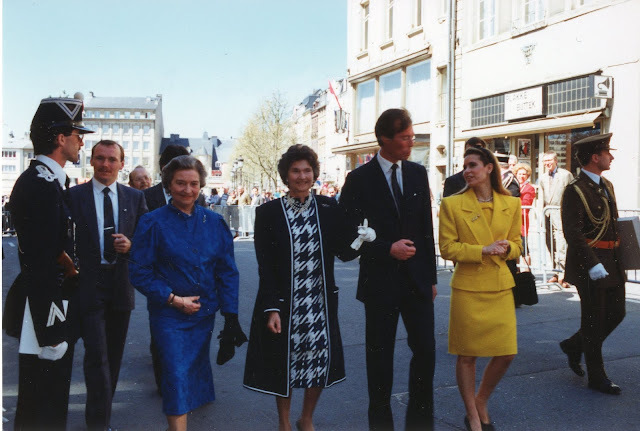 A mass will be celebrated in the Saint Michel church in Luxembourg. The date of the religious service will be communicated later. 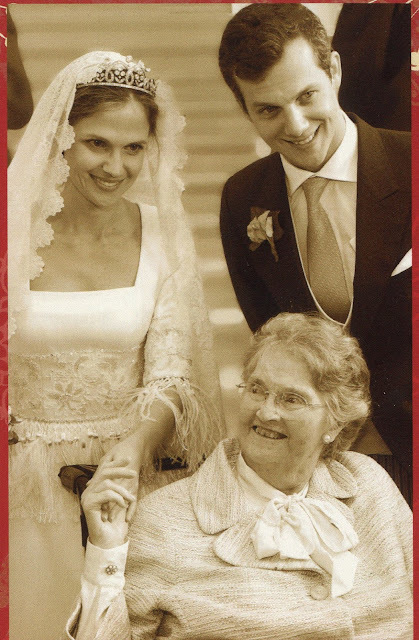 Royal Musings will have more photos and a profile of the late HRH Dowager Princess of Ligne later today.